–[update]– they have created a process that has basically left it virtually impossible for anyone to get a gun to carry on the streets of the District . Where the Court decision [Palmer v DC] set it , that was not what the District Court had in mind …. 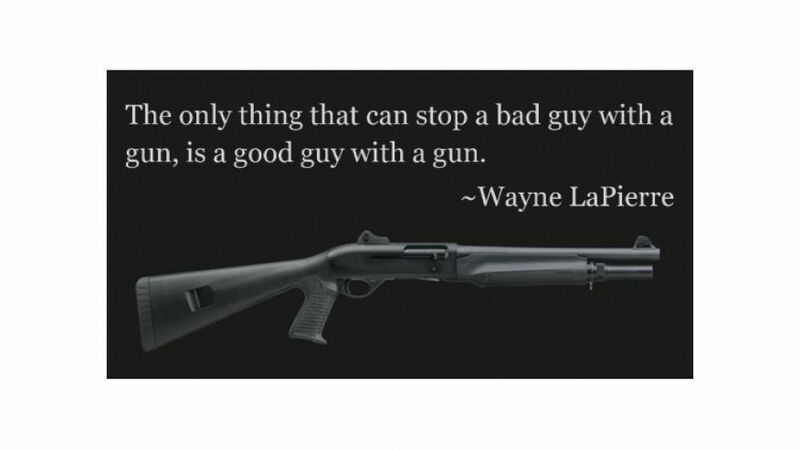 .. he went and got his gun ..
.. people have the @nd Amendment right of self – defense , Chief . .. he came home the other evening to find two robbers trying to take things from his house ..
.. at least someone in Illinois is using their thinking cap . “ Mr. Speaker, last month Palestinian President Mahmoud Abbas openly united with the evil terrorist group Hamas, and at this very moment they are raining down rockets upon the innocent citizens of Israel. Half of all Israelis have sought cover in bomb shelters across their tiny country. And the Obama administration has had the reprehensible gall to praise Abbas as someone who is “committed to nonviolence and cooperation with Israel”, and to further proclaim in an Israeli newspaper that, quote, “finally peace is possible.” Mr. Speaker, I thought nothing this president could ever say or do would surprise me any more, but this flushed and breathless rush to embrace terrorists launching rockets at Israeli children is an unprecedented act of cowardice and betrayal. America’s fleet should this minute be off the coast of Israel, and the world, including Abbas, Hamas, and Hezbollah, should know that America’s arsenal of freedom stands ready to defend our most precious ally on earth. .. you should see it from the perspective of a citizen , from that of a rancher ..
.. a veteran can finally defend himself . On Friday, July 4th, a veteran of the US military found himself under fire in Chicago. He has a concealed carry permit. That plus his decision to carry his firearm made all the difference in the world. The veteran and three of his friends were leaving a party on the city’s south side. When the group reached their vehicle, a container with liquor was sitting on top of it. A woman from the group asked another group gathered next door who the liquor belonged to and removed it. The move angered 22 year-old Denzel Mickiel, who approached the veteran and his friends shouting obscenities. The man then went into his residence and returned with a gun. As Mickiel opened fire on the group, the veteran took cover near the vehicle’s front fender, according to assistant state attorney Mary Hain, the Chicago Tribune reports. The veteran fired two shots, hitting Mickiel both times. Two of Mickiel’s friends also began shooting at the group, which was able to flee the scene in their vehicle. Mickiel was transported to the hospital and is in critical condition. A woman in the veteran’s group was hit twice – once in the arm and once in the back – but was stabilized and taken to the hospital. Mickiel is charged with attempted murder and will be held on $950,000 bond. Had Friday’s shooting occurred a little more than a year ago, the veteran would not have been legally permitted to conceal carry his firearm. And he and his friends would probably be dead. .. you heard it right ..
.. it may be neat technologically , but what idiot decided to come up this ?? .. no gun owner worth their salt will buy it ..
… this is what you call ” aggressive negotiations … ” ?? .. this granny has the nickname ” Rambo . ” See why …. .. there are already plenty of ” guns ” on a military base . .. [h/t — theLibertairian Republic]..
.. The question is now no longer whether or not George Zimmerman will be convicted of murdering Trayvon Martin . I believe that the question is what will then happen after he is acquitted. .. The local investigators put together a thorough and professional investigation . And the local county put through a complete review of the entire case . Simply put , the case was reviewed with a fine – toothed comb . And Zimmerman was found to have a complete and thorough case for self – defence . .. Prosecutors in Florida brought a feeble case to court, filing a charge they knew — or should have known — would not withstand the challenge of even a modestly capable defense. There has been much testimony that supports Zimmerman’s claim of self-defense and precious little that undercuts it. The prosecution invested hope in the testimony of Martin’s parents that it was his screams for help and not Zimmerman’s that were captured on the 9-1-1 call, but on Monday the defense presented witnesses who effectively rebutted this claim. And on Tuesday, a forensic pathologist testified that the physical evidence was consistent with Zimmerman’s account of his confrontation with Martin. .. Assume that prosecution and defense witnesses all testified in good faith as to their belief that the voice belonged to one or the other of the men. There is a common sense way to reasonably infer which of them was screaming for help. By now the extent of Zimmerman’s injuries are well known (though prosecutors seemed determined to keep this information under wraps for as long as possible). Zimmerman suffered a broken nose and lacerations to the back of his head, all consistent with his account of being punched, knocked down, and having his head bashed on the concrete walkway. Other than the fatal gunshot, Martin’s only injury was bruising to one of his hands. .. For the jury to believe the screaming voice was Martin’s they would have to accept a scenario in which Zimmerman remained silent while sustaining his injuries, and in which Martin screamed for help while sustaining only a bruised hand. Unlikely. For this and the prosecution’s many other manifest weaknesses, the jury will not convict. Nor should they. .. Then what will happen ? It is beginning to dawn on members of the media and, through them, on the public at large , that an acquittal is very likely, thus lessening the potential for outrage when it comes to pass. Yes, there are those whose very existence depends on their being perpetually and professionally outraged, and there will be no shortage of aggrieved posturing when the not-guilty verdict is delivered, but I doubt the reaction will come to little more than that. .. the Legislature , that is . .. and to you , Governor Patrick Quinn . Up yours ! 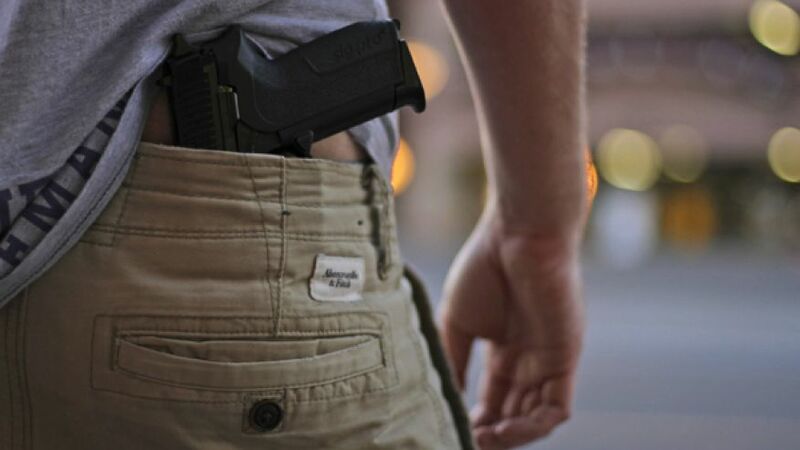 ..
SPRINGFIELD, Ill. — Illinois became the last state in the nation to allow public possession of concealed guns as lawmakers rushed Tuesday to finalize a proposal ahead of a federal court’s deadline. Both chambers of the Legislature voted to override changes Gov. Pat Quinn made to the bill they approved more than a month ago. Even some critics of the law argued it was better to approve something rather than risk the courts allowing virtually unregulated concealed weapons in Chicago, which has endured severe gun violence in recent months. The Senate voted 41-17 in favor of the override Tuesday afternoon after the House voted 77-31, margins that met the three-fifths threshold needed to set aside the amendatory veto. Quinn had used his veto authority to suggest changes such as prohibiting guns in restaurants that serve alcohol and limiting gun-toting citizens to one firearm at a time. Rep. Brandon Phelps, a Democrat from southern Illinois, predicted a history-making day in which lawmakers would dismiss Quinn’s changes as politically motivated. The law as approved by the Legislature permits anyone with a Firearm Owner’s Identification card who has passed a background check and undergone gun-safety training of 16 hours – longest of any state – to obtain a concealed-carry permit for $150. The Illinois State Police would have six months to set up a system to start accepting applications. Spokeswoman Monique Bond said police expect 300,000 applications in the first year. The 7th U.S. Circuit Court of Appeals ruled in December that it’s unconstitutional for Illinois to ban concealed carry. The court gave state officials until June 9 to rectify the shortfall, and later extended that by a month. .. Opinions varied about what would have happened had a law not taken effect. Gun supporters said it would have meant with no law governing gun possession, any type of firearm could be carried anywhere, at any time. Those supporting stricter gun control said local communities would have been able to set up tough restrictions. .. Gun – Rights advocates got the permissive law they wanted . They could well have gotten instead a New York-style plan that gives law enforcement authorities wide discretion over who gets permits . In exchange, Chicago Democrats repulsed by gun violence got a long list of places deemed off limits to guns, including schools, libraries, parks and mass transit buses and trains. LEC here — I believe that the Federal Appeals Court will sign off on this bill . It may not be everything that they want . But the Illinois Legislature went through one hell of a fight to get to this point . .. Even so , Moore v. Madigan will still be hanging over the heads and hands of Quinn and the Legislature . If there is any backsliding , any at all , the plaintiffs and / or the Court could re – open the case . If that were to happen , then God in Heaven help the people of the State of Illinois . .. As to the above , and it could still happen if the Court rejects the bill , it would be anything , anywhere , at anytime , for anyone . The court case would mean no restrictions would be allowed , period . Only if they were done state – wide would they be allowed at all . .. today is the day . .. today , the General Assembly will convene in Springfield. Its first action should be a swift override of Governor Pat Quinn’s amendatory veto of the concealed carry bill. .. the short porch is this — the U. S. 7th Circuit Court of Appeals has found Illinois longstanding and outright ban on firearm being carried by civilians unconstitutional . This ban applies completely to any guns , at all , period . Not just to concealed – carry , contrary to news reports . The carry ban in public is gone , period . End of Story . .. The Appeals Court has given the State of Illinois until July 9th [today] to come up with a full solution . This state is , at this moment , remains the last state in the union with no provision for firearm carry by ordinary citizens. .. State Rep. Brandon Phelps , D-Harrisburg, a longtime Second Amendment defender, is one of the sponsors and was one of the lead downstate negotiators on legislation that finally got enough Chicago Democrats — including House Speaker Michael Madigan and Senate President John Cullerton — on board. .. Amazingly enough , a fairly neutral bill made its way through the Illinois Legislature . A bill hardly light on background checks , carry restrictions , no – gun zones , training , and other serious matters easily cleared both chambers with impressive super-majority votes in both chambers: 89-28 in the House and 45-12 in the Senate. The final bill was no sweetheart of the National Rifle Association or the Illinois State Rifle Association, which both backed up and took a formal positions of “neutral.” Some of those groups own members, as well as other pro – gun groups, ripped the potential law as too restrictive, vague and open to abuse by police. .. Incredibly enough , Governor Quinn did not want to call it a day . He wanted a stronger bill . One which may not meet the requirements of the Appeals Court . A week before the court-imposed deadline for action, Quinn used his amendatory veto powers to issue a broad rewrite of the carry bill . Quinn ’ s rewrite would make permits even tougher to get , and it would further reduce the already-restricted places the public could carry. If not overridden, his veto effectively guts the bill. .. Whether his actions were spurred by deep conviction , or they were motivated by practical politics, the governor’s broad amendatory veto overreached. .. Quinn , for all his traits, seem to have waved a dismissive hand at everyone outside the city limits of Chicago, not to mention some well-informed people there who can strongly argue that guns are not the cause of Chicago’s horrendous homicide problem. .. The Appeals Court , and the people of the State of Illinois have spoken . They have acted through their elected representatives , and they support concealed carry. Quinn’s attempt to gut the bill seems to speak volumes of his disregard for citizens other than those from his own shrinking fan club. .. State Representative Phelps has already filed his motion to override, and he believes the bill as originally sent to Quinn has the support of both the membership numbers and the legislative leadership. .. Quinn’s amendatory veto is bad law and bad politics. .. The General Assembly needs to override Quinn’s veto in its entirety and send him a clear message: This political fight is over . .. then , and only then , will the Appeals Court act , and then they may accept this bill , and think about it . They may not . Moore v. Madigan would then go into full effect . Then all hell would break loose in Illinois . Even POTUS may well be drawn into the fray . .. The old carry ban would be gone . Not only that , the concealed – carry ban would be gone , as well . The Illinois Legislature would then have to step in , somehow . It would turn the streets and woodlands of the state into the Wild West . .. to be honest , that may not be such a bad idea . The bad guys and gals would have to be afraid . Very afraid . The people that they would be trying to pick on would finally be able to legally defend themselves . It is about damn time ! SPRINGFIELD, Ill. — Illinois was poised to become the last state in the nation to allow public possession of concealed guns as lawmakers rushed Tuesday to finalize a proposal ahead of a federal court’s deadline. Both chambers of the Legislature were convening to try to override changes Gov. Pat Quinn made to the bill they approved more than a month ago. Even some critics of the law argued approving something was better than letting the courts allow virtually unregulated concealed weapons in Chicago, which has endured severe gun violence in recent months. The Senate planned to take up the measure Tuesday, after the House voted 77-31 to override the Democratic governor’s amendatory veto. Quinn had used his veto authority to suggest changes such as prohibiting guns in restaurants that serve alcohol and limiting gun-toting citizens to one firearm at a time.